This list of 10 pizza delivery places in Singapore is dedicated to my class. True story: My students wanted to find a place to dine in Singapore which can hold large groups, sells Halal-certified food, and serves affordable okay-tasting food. This list includes pizza delivery numbers, websites, operating hours (if indicated), whether it is Halal, delivery charges and other terms & conditions. Hope it will be helpful for those who need more food for your parties, company pantry parties, teachers who want to treat your classes something, and soccer fans staying up late with buddies. 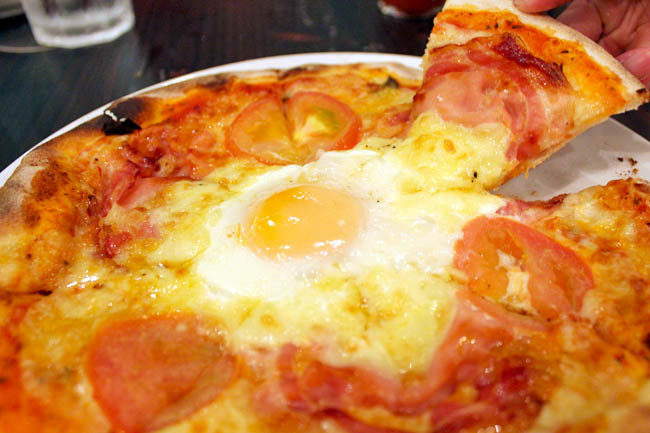 The 10 Pizza Delivery Shops In Singapore, and more. 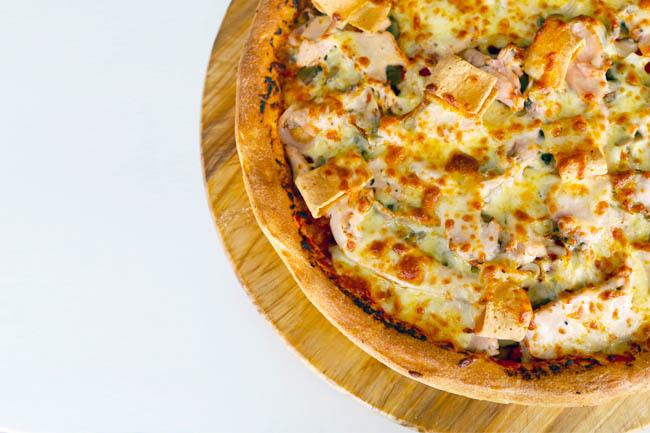 Known for serving authentic thin-crusted pizzas, baked in specially-sourced wood ovens. For delivery, all pizzas are in 12 inches and cost $22-$24. Can cause slight confusion because pizzas are named after females such as Anna, Barbara, Claudia and Donna. 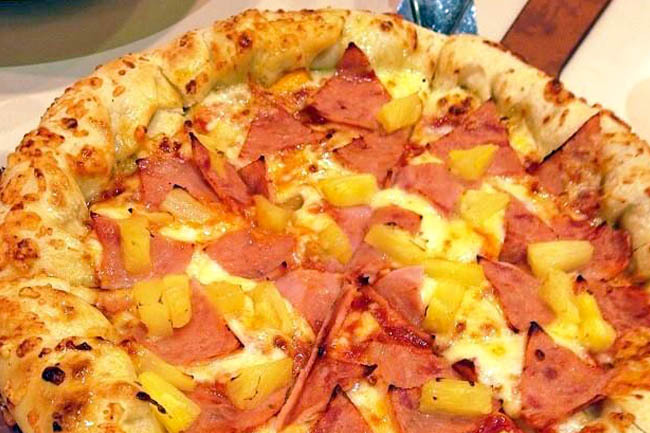 A Hawaiian would have been a Juliana. 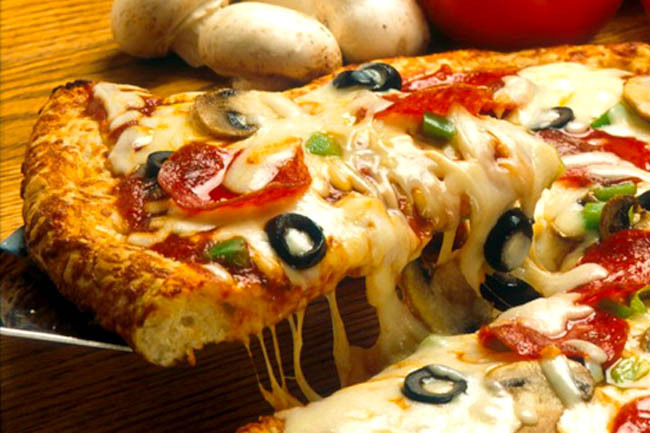 Domino’s pizzas come with 5 different crusts such as crunchy thin, New York, cheese burst and cheese crust. They are known for their classic hand tossed (a large 12 inch is $29.80). I personally quite like the brand for their generous toppings and interesting sauces. And they are Halal-certified. They are the only pizza company that guarantees your order will arrive within 30 minutes or they will give you a free regular pizza voucher. BUT… it requires a purchase to be used. I ordered twice, and both times I received the vouchers. In fact, the delivery guy who was late by 45 minutes passed me a stack. 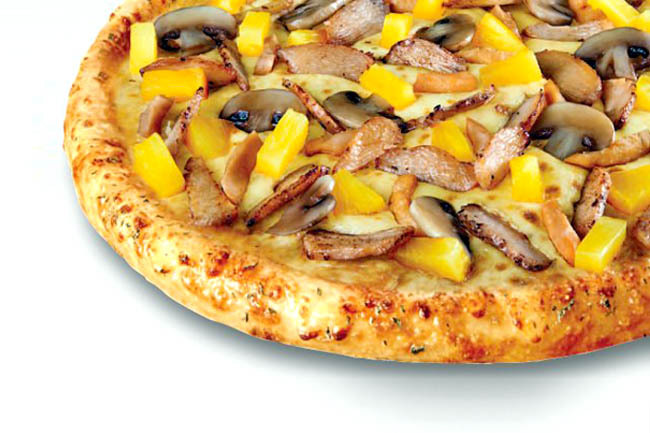 Many fans vow by their taste and generous toppings, with the popular flavours being aloha, teriyaki chicken, and pepperoni pizza. I like that their crust is not overly thick. An Aloha Turkey bacon and sweet pineapples topped with mozzarella cheese cost $23.80 for 1 large 14 inch pizza, $35.00 for 2. Delivery charge of $3 will be applicable per order. Minimum order of $20 for delivery. Halal-certified. Known for their “2 for 1 pizza”, buy 1 get 1 free always. For the budget conscious, say a BBQ Chicken Standard Pizza is $37.90 for two 14 inched ones. I personally feel that their taste is most family-friendly safe, good for ordering for class gatherings. Currently has 28 delivery outlets in Singapore. Free drink for every $45 purchase. $3 surcharge applies for every order. Halal-certified. Pizza Hut probably scores in brand recall. I mean, who can’t remember their phone numbers. 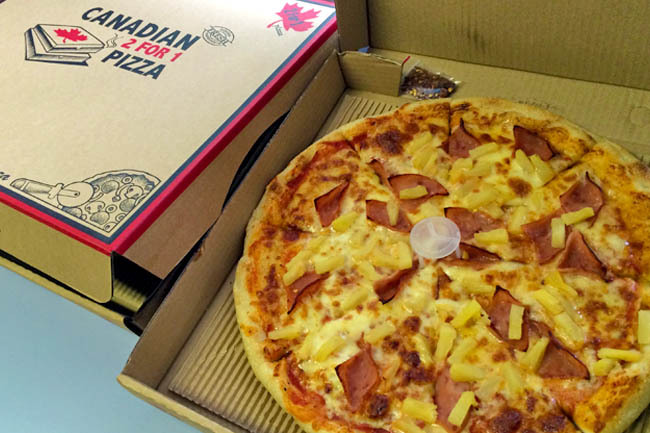 Tip is to look out for their online specials: Currently, they are promoting 3 large pizzas for $48, a Big Box combo with regular pan pizza, wings, hash brown and pasta for a wallet-friendly $29.90. Halal-certified. Rocky’s Pizza has been at Sunset Way for more than 20 years, and their American style large sized pizzas have been popular among families. You customize pizzas to your liking, and choose any of the toppings in the menu including pepperoni, ham, beef, sausage, chicken, tuna, egg, anchovy, tomato and mushroom. $25.00 for X-large 16 inch Deluxe Cheese. $3 delivery surcharge applicable. Other specialities such as calzoni, lasagne, wings, salads and submarines available. One of my favourite pizza brands in terms of taste and cheesy-ness. After all, it’s by the Les Amis group. Their wood-fired pizzas can go up to 21 inch which feeds 4-6 people, but is also pricier at $50. A large 12 inch is at $24. This is a solo shop at Upper Paya Lebar. The owner is a chef who had worked at various Italian restaurants before venturing out to come out with his own 12 inch pizza. 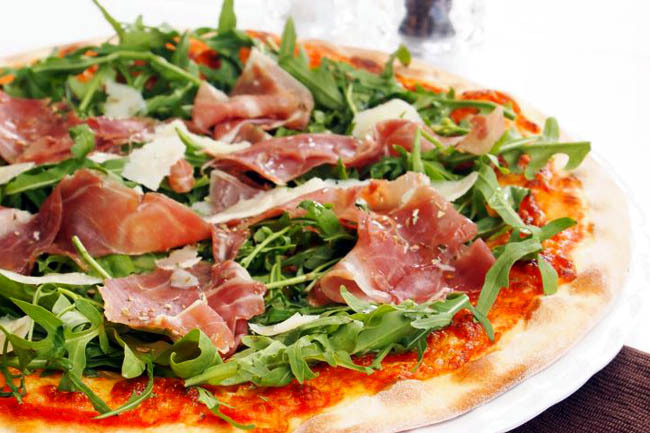 An American pizza with mozzarella, tomato, cooked ham and pineapple is at $22.00. Delivery covers the North, East, North-East and Town areas of Singapore. For delivery to areas not covered, a minimum spending of $80 is required, otherwise, a delivery charge of $8 will be applied. Orders below $50.00 are subjected to a delivery charge of $4.00. Tony’s Pizza New York-style pizzas are known to be large, wide, thin, doughy and hand-tossed. They are also quite pricey, an 18 inch plain cheese at $42, and Hawaiian at $48. 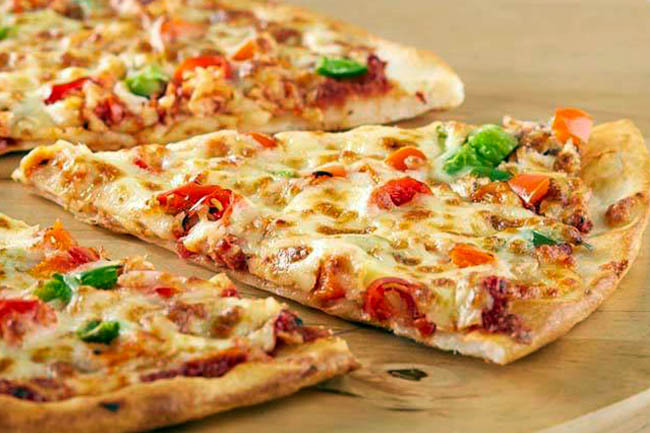 Pezzo Pizzas are popular among the youths, with quite exciting flavours such as Meat Sicilian, BBQ Bonanza, Hola Hawaiian and Italian Chicken. I loved the toppings but the crust could be too thick for my liking. 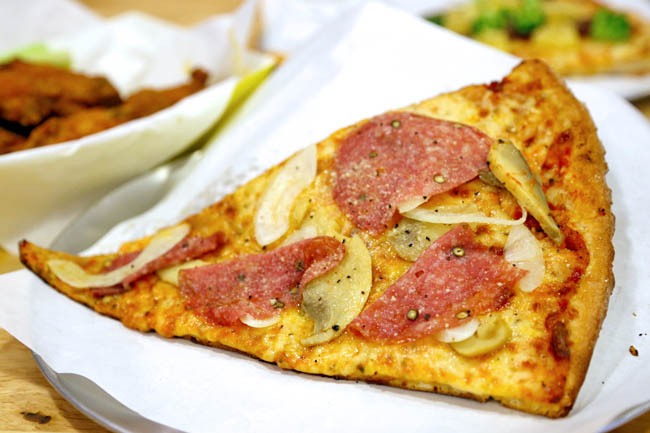 Pezzo is also the pricier mass-market pizza comparatively due to more ingredients. A large 14 inch pizza is about $36.00. Payment by cash only. Halal-certified. Do share with me your pizza ordering experiences – I know some can be smooth-sailing while others extremely frustrating talking to the other person over the phone. Tell us which to go for, and which to avoid. I like Peperoni Pizzeria and their XXL pizzas a lot! Saprino was terrible. I ordered it for dinner yesterday. The pizza was dry and hard and the honey chicken was a dull grey/brown colour, instead of a nice golden brown. Will never order it again. 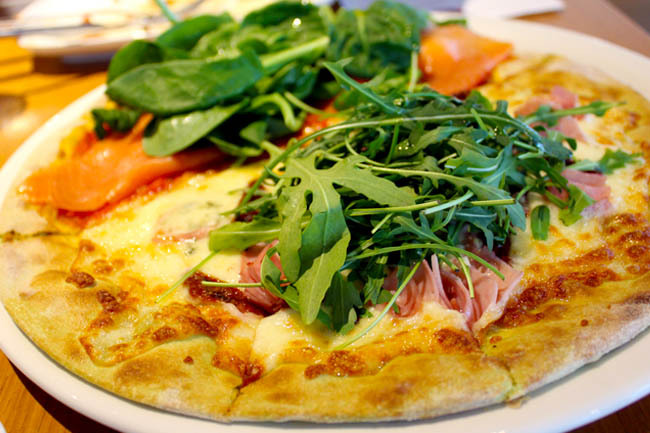 If you are feeling hungry and searching for Italian Food Restaurant for pizza in Singapore, then Marco Marco is the popular Italian food Restaurant in Singapore. 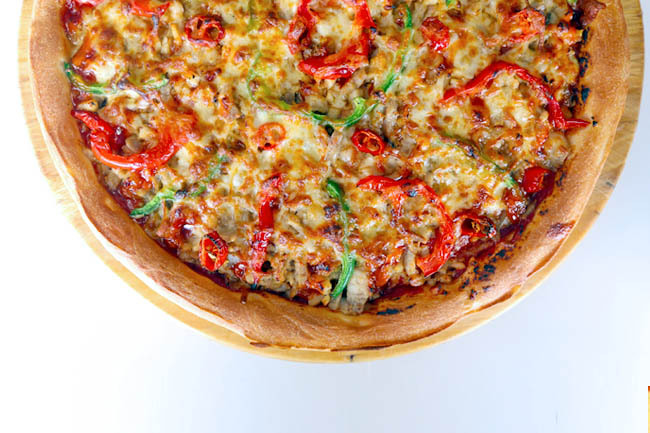 We serve fast, casual and amazing pizza in Singapore with wide variety of Pizza at an inexpensive price.Choose from traditional Italian dishes or our specially in-house created range of international inspired recipes. Do you do delivery? No right? Omitting pizza defrance is a huge mistake. It is worth a good try in any case. Hey guys just tried the best pizza in Singapore at PAPA JOHN’S PIZZA in Tampnies. The taste is simply superb, specially With the Garlic Dip the pizza never tasted so much better.. 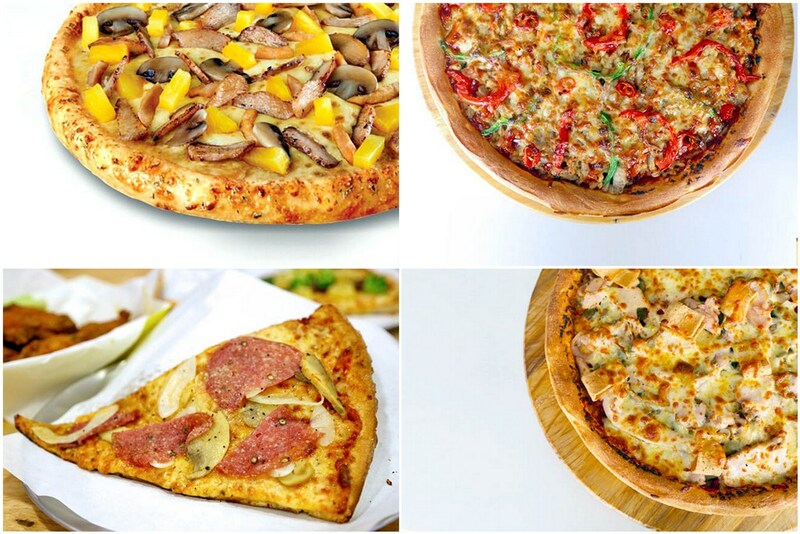 Thanks for consolidating the list of good pizza delivery in Singapore. It is helpful especially when I am troubled on which pizza to order. I frequently order from Rite Pizza and I find that the garlic bread and chicken wings are very nice. Most importantly, it is pretty value-for-money. Just want to share some info. The bestfriend i want to create a new blogs web site, nevertheless all of us are unsure of what sort to apply. We tend to mainly might you have to be uploading random things in relation to definitely not we want the website to always be enjoyable along with ornamental, not really a ordinary page layout..
love your list, as I’m an absolute pizzas lover! just talking about it makes me feel hungry! Best part the pizza is still so yummy, when delivered! Nom Nom!